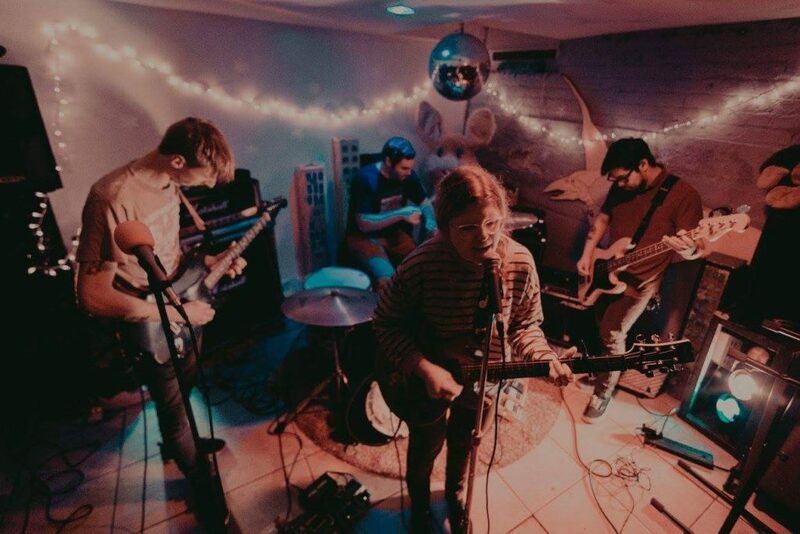 Local alternative punk band Doll Baby have come together once more to impress you again with their newest EP, Hell Block. This five-track release is another outstanding addition to the band’s growing repertoire, and they’ll be celebrating its debut this Friday with a show at Gallery 5. The new group was a new direction for Kelly and Storey, but wasn’t as big a stretch as you might assume. “Most of us have been in punk bands, but we listen to everything, so we get influenced by a little bit of everything. We’re a good mixture,” Storey said. Hell Block follows up Doll Baby’s first three-track EP, Polliwog, released last year on Crystal Pistol Records. This release sees them making the move to Egghunt, and is the fourth installment in that label’s Hatched series of cassette releases, which previously featured such Richmond notables as Dazeases and Big Baby. Kelly elaborated on how the brand new Hell Block EP had its roots in the band’s earliest efforts. “We recorded a four-song demo years ago,” he said. “We had three songs leftover from that demo, and two new ones. We wanted to re-record them in a studio.” With over a year of gestation, the songs ultimately took about a week to record. Production and engineering was done at the Ward with Bryan Walthall, Rusty Thomas Scott, and Ricky Olson. Doll Baby will be taking Hell Block on the road next month, touring with bassist Jake Guralnik’s other band, Bat Boy. They’re excited about this thirteen-show tour of the East Coast, but that’s not all they’re excited about. “We have a video coming out! Our friend Allie Smith from Blush Face directs it and our friend Hugh Burruss’s filming is ridiculous,” Storey said. “Sammi Lanzetta, who was in Venus Guytrap and is out doing her own thing now, stars in it. We’re planning a December date at Hardywood for the release.” Keep an eye out for that one. 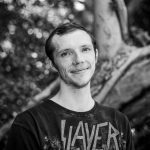 Hell Block stands as one of my favorite projects I’ve heard yet out of the local scene. Storey’s vocals are as unique as they are powerful, and the chemistry between the members is quite evident in the perfect cohesion they demonstrate on this EP. The first track “Alive” is super impressive. Right off the bat, Storey’s vocals piqued my curiosity. “For Sylvia” really strengthens my opinion of her vocals, and it sounds like they have fun playing these killer tracks. “Perfect Posture” demonstrates the band’s range and capacity for altering sounds. “Softee” features an acoustic guitar which is never overpowered by the presence of the electric. The combo between the light, high melody of the electric and the strained vocals coexist seamlessly. 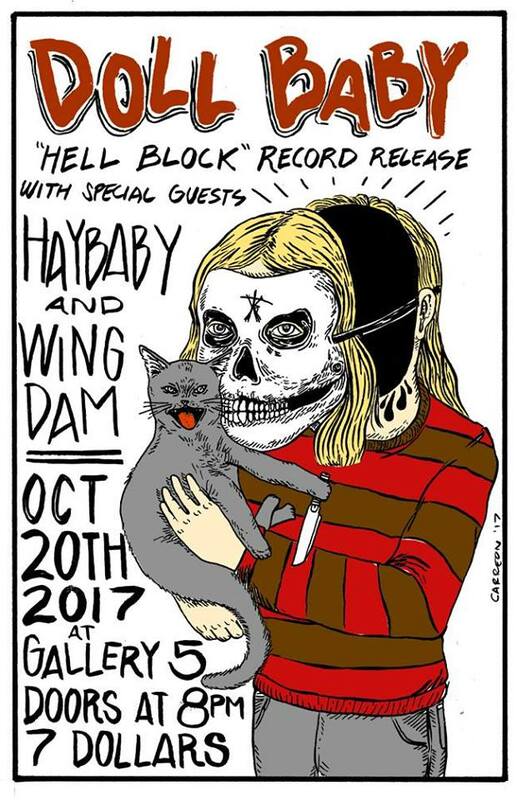 The Hell Block release show will be this Friday at Gallery5 with Wing Dam and Haybaby. The cover is $7 and the tunes start at 8pm. For more info, click here.